The brother-and-sister team of BeBe & CeCe Winans first began their recording career with the release of their best-selling, self-titled album in 1987. Through their much-acclaimed work, BeBe & CeCe have achieved a rare feat by maintaining a solid audience in the Christian music world while creating and expanding their appeal to pop and R&B music lovers without compromise. CeCe said, "Everything we sing touches our emotions, and hopefully, the emotions of those who listen." The impact the pair have had on the world of contemporary music comes as no surprise: respectively the seventh and eighth children of David and Delores Winans, BeBe (Benjamin) and CeCe (Priscilla) grew up in Detroit in a loving environment where their music talents were constantly nurtured. While the pair were in high school, four of their brothers formed the ground-breaking group The Winans. Initially known as The Winans Part II, BeBe & CeCe sang with the PTL Singers in 1982. The duo came to the attention of music industry executives in 1987 when they signed with Sparrow Records. 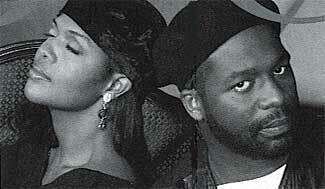 Produced by Keith Thomas (Amy Grant, Vanessa Williams) the debut record gave them their first R&B hit "I.O.U. Me," topped R&B and inspirational charts, generated Grammy nominations, Dove and Stellar Awards. CeCe earned a Grammy for "Best Soul Gospel Performance, Female" for the song "For Always." Their second album released in '88, Heaven, was the first gospel record to reach Top 10 on Billboards R&B charts since Aretha Franklin's Amazing Grace. The project again spawned hit singles including "Celebrate New Life" featuring Whitney Houston, and garnered a slew of awards including Grammys, Stellars and Doves, among others. Following was Different Lifestyles, which achieved platinum plus status with chart-topping hits including "I'll Take You There" with Mavis Staples, and was honored with several awards. In 1993, First Christmas was released and BeBe became noted for his producing. He worked with Whitney Houston on the soundtrack for The Bodyguard, as well as working with Gladys Knight, Bobby Brown, The Clark Sisters and his younger sisters, Angie and Debbie Winans. A year later, the two recorded Relationships, which reflected an up-close-and-personal approach. "A lot of people think we're supposed to be perfect," CeCe said. "but we're people too, we go through hurt [and] pain. We get songs through experiences and as we reveal these things, people are touched." Since the release of that album in 1994, CeCe scored a Top 10 pop and No. 1 Billboard duet with Whitney Houston with "Count On Me" from the soundtrack, Waiting to Exhale. She also won a 1996 Grammy for her solo project Alone In His Presence and a Dove Award for Female Vocalist. Her second solo album is Everlasting Love. BeBe has also released a solo project and continues producing.